Today the Samara State Philharmonic hall is a modern concert and theater complex, which was built based on the author's project of architect Yury Khramov in 1988. The concert hall can hold 975 listeners. Chamber concerts are conducted in uniquely designed Crystal foyer and in cozy Chamber hall. The artistic union of the Philharmonic hall includes Academic Symphony orchestra, Chamber orchestra "Volga Philharmonic", a couple of art groups and ensembles. The Pearl of Samara Philharmonic hall is the magnificent German pipe organ, which would not disgrace the best examples of this secular concert instrument in Europe. From year to year Samara Philharmonic hall grows and evolves: creative communication is widening, artistic teams of Philharmonic improve their skills, and the names of the invited artists are growing louder. 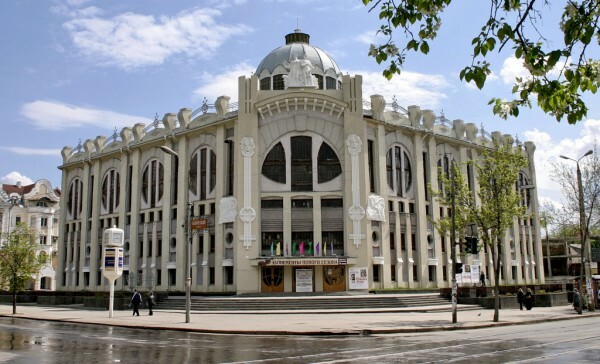 Today the Samara Philharmonic hall is one of the leading in Russia, and it stores and decently continues the best spiritual and musical traditions. Concerts "River of talents" are held in it since 2007.